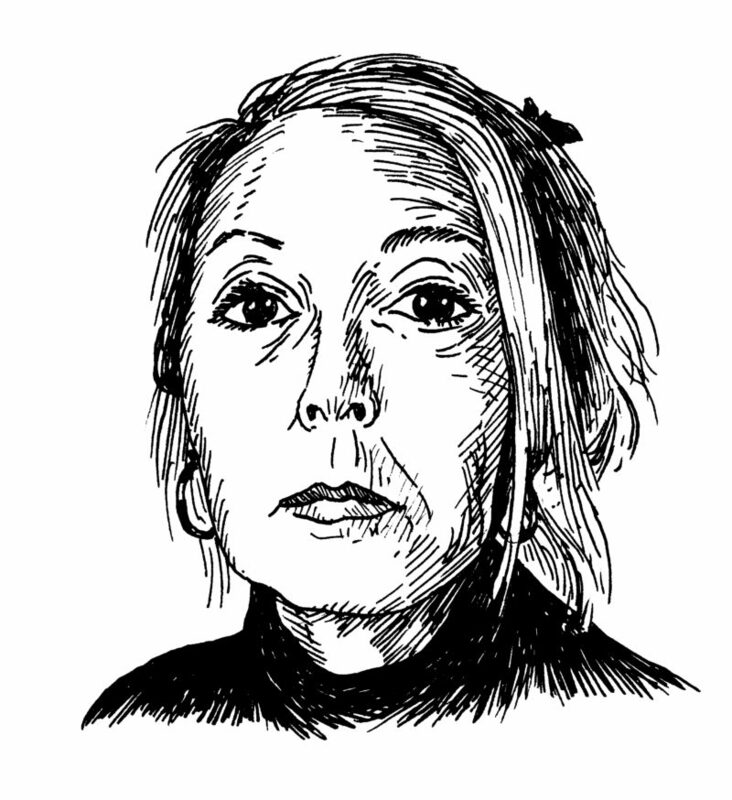 ANNE CARSON: I did [study] some French in high school, the usual aimless surveillance of Marie and Pierre purchasing baguettes and ducking into the metro to avoid the rain. But the fact is, no amount of standard vocab or hours in the language lab could prepare a person for the syntax of those page-long sentences that unfold like a scavenger hunt through a neuroanatomical diagram. I’m saying I started over. Proust is an education in the language of Proust. BLVR: When you’re ready to release a manuscript, do you already have ideas in mind about how you want it to look as an object? AC: Yes. I have very specific ideas about how things should look on the page. [Robert] Currie [Carson’s partner] has specific ideas fortified by practical knowledge of how to make them (on the page or on the stage) look as they should, which is better. BLVR: Do you enjoy sharing what you write, or does publishing feel obligatory—or both? AC: I enjoy giving it (a page or a reading) over as a gift. BLVR: Do you like to let a thought circulate for a while in your head without approaching it (“marinating”, as they say,) or is writing the primary or only way writeable thoughts can emerge? BLVR: Are you tolerant of (or even fond of, or attached to) your errant writing, the stuff that exists outside of what ultimately becomes a book or play or ostensibly finished document? AC: I do not throw out anything handwritten. BLVR: Are there any memories you have of being a student that you bring to bear when you’re teaching others? AC: I can never be grateful enough to Mrs. Alice Cowan, my Latin teacher in grade thirteen of high school, who volunteered to teach me ancient Greek on my lunch hour in the final year of my time at Port Hope High. We read Sappho together and worked through an old primer of ancient Greek that she found at home. It changed my life. She always smelled of celery. Charlotte Shane is the author of two memoirs: Prostitute Laundry and N.B, and the coauthor, with merritt k, of the chapbook 3 Conversations. She is a cofounder of TigerBee Press.